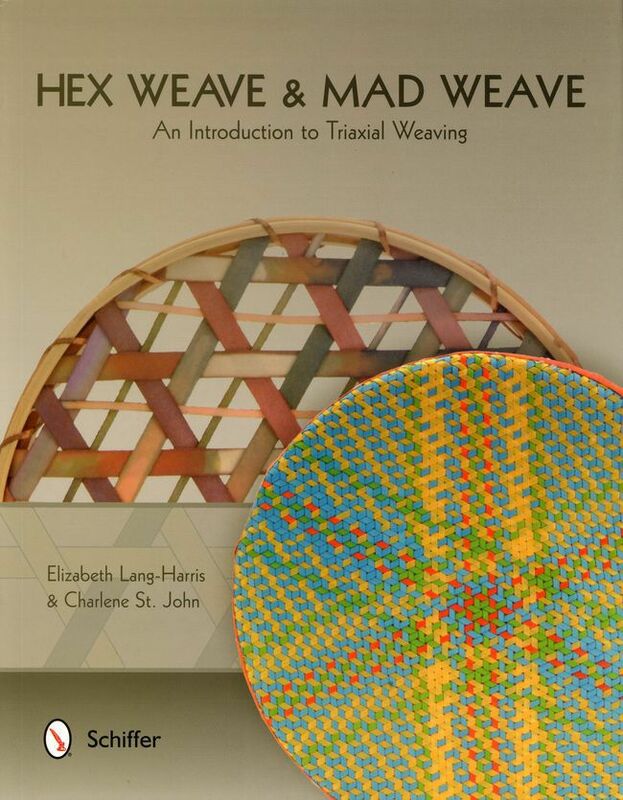 Primarily used in basketry, triaxial weaving can be used in fabric and paper arts. This book starts with an introduction to the supplies you'll need to start, and to the basic principles behind these intriguing weaves. The instructions are well written, and the photos are fantastic. The quick start projects are nice too. They are basic projects which show how to use the weaves in practical applications. After learning how to create the weaves, finish them off, and apply them to different things, you can use the techniques in your own art easily. The instructions and examples are complete and easy to follow. The diagrams show the strips in different colors to make it easy to follow the weaving. The authors show how color works in the weaves to create patterns, and the patterns are nice, neat tessellations. One of my favorite applications is using ribbons to create the weave, using the right colors and with the ribbons woven tightly, they look like traditional quilting patterns but worked in tiny scale without having to mess with small pieces. I like the star and motif patterns, but the way you can also weave up a perfect tumbling block pattern in mad weave is really neat. Working with paper for more open patterns, you can see the stars, hexagons and triangles easily. I recommend picking up a package of quilling strips for practicing the weaves initially. I had a package on hand, and working with the perfectly cut strips made it easy to see how to build the hexagons. The book also talks about all the shapes possible with hexagons. It's easy to build a radially symmetrical mandala or a tessellating pattern using these techniques. If you enjoy more mathematical crafts and hands on geometry, you'll probably enjoy this book a lot. If you enjoy small weaving projects, it's also a good choice.